Are you in need of roofing services in Winchester? If so, you’ve come to the right place. Roof maintenance can be a complicated process, but our team make it look easy. Whatever type of roof you possess, you can expect first-class results from Acorn Building Contracts Ltd. To find out more or to request a visit from one of our specialists, call us today on 023 8024 3336. The roof forms an integral component of the overall structure of any building and is vital for keeping out unwanted damp and cold air. Often, essential roof maintenance is neglected leading to issues developing such as water infiltration which can cause mould, wet and dry rot to form. These issues can also push up energy bills which can prove more costly than simply paying out for roofing services in Winchester. Here at Acorn Building Contracts Ltd, our Winchester roofing services encompass repair, maintenance and replacement solutions. So, if your rooftop is causing you many sleepless nights, read on to find out how our team can help. The first step is to determine the extent of the work required to restore your roof to its former glory. Acorn Building Contracts Ltd can help with this determination by providing a full inspection that covers every area of your rooftop. Common indicators to look out for are dark spots on the ceilings which usually indicate an old seal or broken tile. Once we’ve completed our inspection, we’ll suggest the appropriate roofing services, Winchester. Typically, if your roof is under warranty and the damage isn’t too extensive, we’ll suggest having the damage put right. However, if the roof is not under warranty, it may be more cost-effective to choose a replacement service instead. Our team will be happy to advise you on the right course of action, so that you can get the most out of our roofing services in Winchester. When you enlist our Winchester roofing services, you can be certain that we only use industry-certified materials. Your new roof will be designed and fitted in-line with British Standards, so that you can be confident of many years of reliable service. 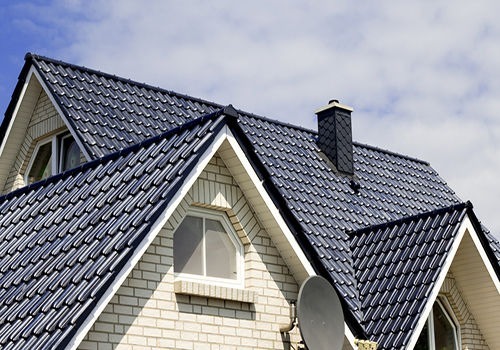 Prevention is the best cure, and regular roof maintenance is an excellent way of staving off problems and extending the lifecycle of your roof. 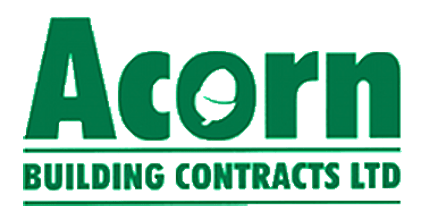 Here at Acorn Building Contracts Ltd, we can provide annual inspections as part of our comprehensive range of roofing services in Winchester. Any issues can be identified and rectified quickly with all work quoted for separately to help you manage your budget effectively. So, if your roof has seen better days and requires our professional services, get in touch with Acorn Building Contracts Ltd today to see how we can help. As members of the National Federation of Builders, you can always rest assured that when you enlist us for roofing services in Winchester, you’re dealing with the very best. Our stellar reputation is a result of our many years of reliable service. Much of our work comes from word-of-mouth as well as the many glowing testimonials that we receive from our clients. In fact, our company has received much in the way of positive feedback through Checkatrade. We are even proud members of the ‘Buy with Confidence’ scheme. All of which serves to reassure our customers that we have their best interests in mind. Backed by over 25 years’ experience, the reliability and affordability of our services simply cannot be refuted with us being the most sought-after choice for roofing services Winchester can offer. From garden walls and garages to renovations, extensions and more, no project is too big or small for us to handle. So, for Winchester roofing services that are a cut above the rest, look no further than Acorn Building Contracts Ltd. Enlist our professional roofing services in Winchester today by calling us on 023 8024 3336.